Here is yet another wonderful and versatile tip from Ruth Wyeth Spears that is useful not only for styles from the 1920s but for the styles of any decade. 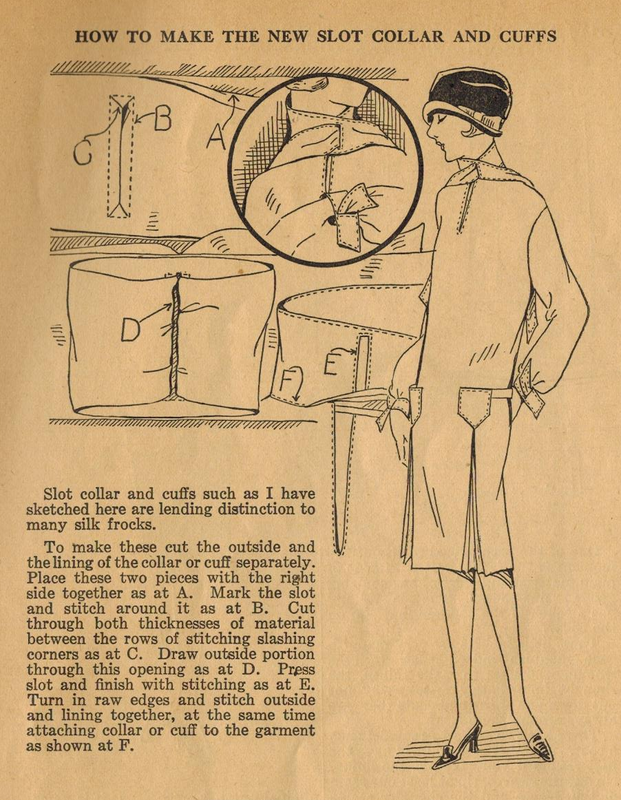 In this tip, Ruth describes how to create a slot collar and slot cuffs. The concept is that you have a tie collar or tie cuffs, but rather than tying them, you create a slot through which one end is slipped.